Céline has a Ph.D. in Private International Law, she is a co-founder of DODO BANK and a partner at Yellaw Firm, heading the blockchain department. Céline is a prominent voice in fintech and blockchain regulation and her recognized expertise translates to her frequently speaking at international conferences on the legal issues surrounding this nascent tech. In September Céline spoke at the Lyon Blockchain Game Summit as well as London’s Blockchain World Summit, October saw Céline speak in Malta at the Delta Summit and at Kuala Lumpur’s LexTech and just a few days prior to our conversation she spoke at CryptoBlockCon in Las Vegas. As head of Yellaw’s blockchain department, Céline works closely with the blockchain and crypto regulatory environment in Malta. She states the directives put in place by Malta earlier this year are a step in the right direction. For non-lawyer types in can defy common sense, but the introduction of palpable laws surrounding ICOs and STOs do not limit but create greater levels of freedom for companies and their projects. 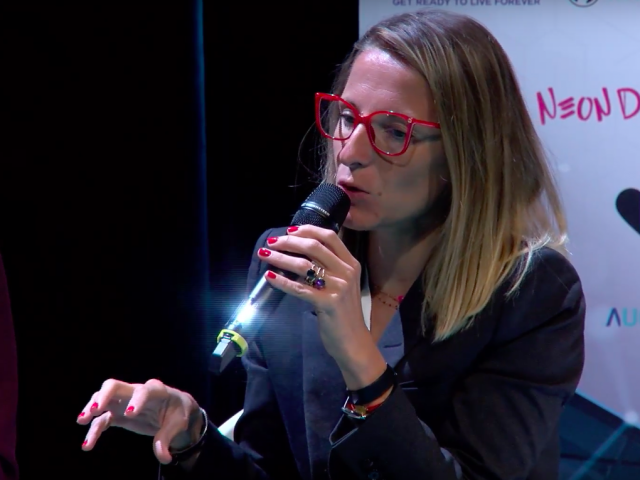 Céline states a major impediment to blockchain adoption in Europe is not having a single set of unifying regulations, while we touched upon Zug, Estonian and Maltese regulatory conditions, these mandates need to stretch further than national borders. Céline regards the declaration calling for help in the promotion of DLT by several Southern EU members (the ‘Mediterranean Seven’ as they’re dubbed), as a “first step”. The report, Blockchain for Government and Public Services, is the latest from the EU Blockchain Observatory and Forum, a body launched in February this year. It highlights blockchain’s capacity to create “trusted audit trails”, “keep data both private and shareable” and the potential to lead to “significant cost savings in data processing while increasing robustness”. Albeit the report urges the “right foundations” need to be put in place, “governments should support the development of user-controlled, “self-sovereign” identity capabilities”. Céline in her assuredness of blockchain and GDPR coexistence cites a report by the Commission Nationale Informatique & Libertés (CNIL), an independent French regulatory body that ensures personal data and privacy laws are upheld. Published just last month, Blockchain and the GDPR: Solutions for a responsible use of the blockchain in the context of personal data, details issues and solutions in leveraging blockchain technology under European regulations. While the report recommends a case-by-case basis on the “real necessity” of the tech, blockchain enables individuals to be their own “data controller” and exercise their rights to “enable stakeholders to come closer to the GDPR’s compliance requirements”. It was a pleasure speaking to Céline, she is a wealth of information in the ever-shifting crypto and blockchain regulatory space.